Services » Audio Transcription Services - High quality audio transcription services. Free speaker identification and time stamps upon request. No extra charges for accents, difficult terminology, many speakers, etc. Searching for high quality transcription services? AudioTranscription.Org provides all the audio and video transcription services you need at the lowest price offered by any of the top transcription companies. Are you tired of sitting for hours in front of your computer transcribing audio and video files into written transcripts? Do you think to yourself, “I have more important things to do in my business than transcribing files, but these transcripts have to be written”? We understand. That’s why AudioTranscription.Org, a transcription services company located in San Francisco, California, was created. Our team of extensively trained and highly experienced transcriptionists will turn your audio and video files into precise written transcripts you can use for all of your business and marketing needs. 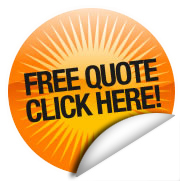 To prove to you just how good our transcription services really are, we want to give you a free transcription sample. If you have at least five hours of audio or video that you need to have transcribed, we will be happy to give you a free transcript sample so you can see the high quality of our work. AudioTranscription.Org prides itself on being different from other companies in the industry, and we guarantee you’ll notice that difference when you choose us for your transcription needs. Reason 1: We offer an options-based pricing model that lets our customers choose exactly the services that they need. This means that our customers know exactly what their final transcript will look like, and they’ll never be charged more for services that they don’t need. Reason 2: We guarantee that your proofread transcript will be +98% accurate! That’s because those transcripts are sent to one of the members of our expert proofreading team, most of whom are retired newspaper editors or English professors, to ensure that they are correct. Reason 3: We offer a satisfaction guarantee. If you’re not completely satisfied with your proofread transcript, send it back to us. We’ll be happy to redo it for free. Allow the professionals at AudioTranscription.Org to take care of all your transcription needs, and we guarantee that you’ll be glad you did. To have our expert transcriptionists start transcribing for you now, upload your files on our get started page. To ask more questions, simply fill out our short contact form, and our friendly account managers will contact you shortly.